This 8 foot rectangular picnic table features top and seat made of pressure treated Southern Yellow Pine and a portable 1 5/8 inch O.D. galvanized steel frame. Cross braces are 1 5/16 inch O.D. galvanized steel for extra support. Rectangular wooden picnic tables are great for seating the family for weekend BBQs at the park. 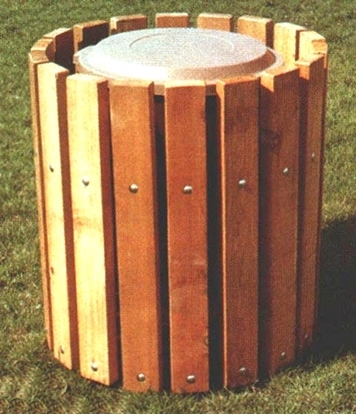 Our wooden picnic tables feature matching benches and trash cans that can furnish your park or school at discount prices.